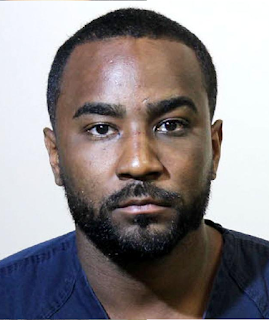 Nick Gordon, who was held legally responsible for the death of his girlfriend Bobby Kristina Brown in 2015, was arrested in Florida on Saturday afternoon for allegedly kidnapping and beating his current girlfriend. 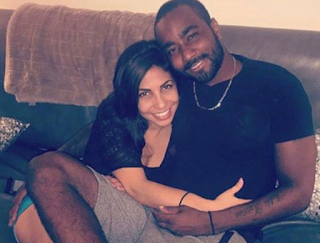 The 28 year old Gordon, was taken into custody by police in Sanford, Florida, on Saturday afternoon after a complaint was filed by his live-in girlfriend of two months, 26-year-old Laura Leal. According to the arrest report, Gordon struck Leal 'by hitting and punching her in the face and the back of the head with a closed fist' sometime between 12:30am and 7:00am on Saturday morning. According to Daily Mail, Leal told police that sometime between 12:30am and 1am, a heated argument erupted and she believed Gordon was upset because he suspected she was trying to 'hook up' with one of his friends . She told police that Gordon had no reason to be jealous and that her feelings for him were genuine, though she did acknowledge that the relationship was 'toxic'. She said that Gordon insisted she 'tell him the truth' about wanting to be with another man. When Leal told Gordon that she 'would never do that' to him, he did not believe her. She then told police that Gordon gave her the option of leaving.When she agreed, Gordon turned violent, she alleges. 'Gordon became upset and [began to] violently punch her and hit her and refused to let her leave,' according to the report. He took away her computer and she said she had no way of communicating with the outside world since Gordon smashed her cell phone a few weeks prior to the incident on Saturday. Gordon also hid his own cell phone so she would have no way of seeking outside help, according to Leal. 'Leal stated that Gordon would not allow her to leave the apartment and continued to punch and hit her,' . Just after dawn, Leal says she ran into Nick Gordon's mother's bedroom and woke her up. When Michelle Gordon saw the injuries allegedly caused by her son, she helped Leal 'in getting her out of the house' and drove her to her sister's home. Carla Leal then drove her sister to the Sanford Police Department. Officers took statements from Leal and her sister. They then drove to Gordon's home and arrested him. Gordon's mother was not at the house when the officers were there, according to the report.